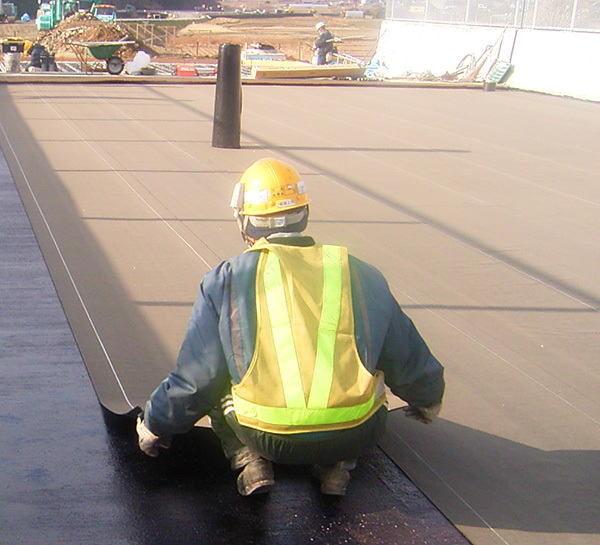 The FRESH SHEET construction method is a cold applied self-adhesive sheet-based deck slab waterproofing construction method using modified asphalt that has been coated on a glass mesh. In the method, “CATICOAT” primer is applied on the RC or PC deck slabs, and FRESH SHEET is laid on top. 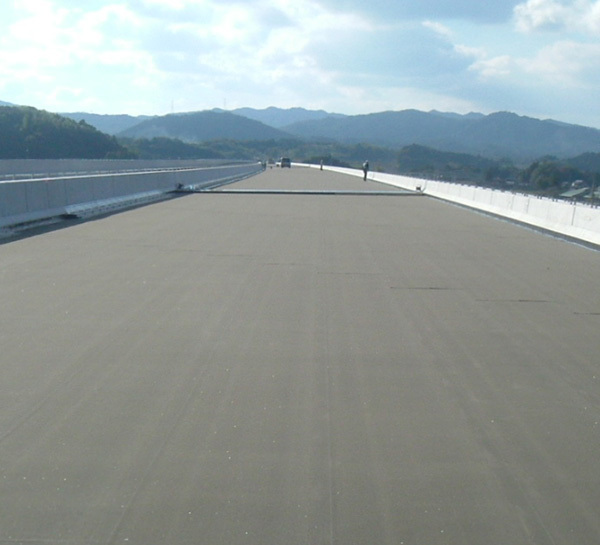 This method conforms to the standard quality of sheet-based deck slab waterproofing (Hot applied asphalt bonding type, heat welding type, and cold applied self-adhesive type) of the “Bridge Deck Slab Waterproofing Handbook”. Because this is a cold applied self-adhesive type, it has outstanding workability and implementing ability, so that large-scale rapid implementation will be possible. Due to the implementation at normal temperatures, the method is safe, emits little odor, and also allows reduction of CO2, realizing a construction method that is gentle to the environment. Because the sheet is flexible, it will be able to closely conform to the unevenness of the concrete and cut surfaces.